Just 7 Weeks To Go Until Our Green Earth Awakening Camp! * Jamie Catto * The Mindfulness Exchange * The Tyndall Centre for Climate Change Research * Landworkers Alliance * The Permaculture Association * Schumacher College * Tinkers Bubble * Landmatters * The RSPB * The Woodland Trust * The Really Wild Forest School. * Peg Loom Weaving * Wayne’s Woods Spoon Carving * Wood Turning * Blacksmithing * Basket Weaving * Willow Domes * Drop Spindle * Felt Making * Clay Play, Pottery & Pit Firing * Primitive Crafts * Rocket Stoves. * Earth Dances with Denise Rowe * Contact Improvisation Dance * Qi Gong * Partner Yoga * Rhythms & Body Percussion * Harmony Singing * Mbira * Storytelling * Rumi Poetry * Nature Writing * Focusing. * Permaculture Design with Aranya * The No-Dig Allotment * Orchard Management * Forest Gardening * Foraging * Planning for Low Impact Development * Harvesting & Preserving * Skills for Setting Up Co-ops, CLTs & Land Projects * Mac Macartney of Embercombe. * The work That Reconnects * Nature Connection * Growing Self Love * Compassionate Communication * Eco-Feminism * Art and Activism. Paramananda & Maitridevi; Monday 7 September — Saturday 3 October 2015 (first two weeks Monday 7 September — Saturday 19 September). More information and booking. A retreat for lovers of meditation, and for those who want to learn to love meditation. We invite you to join us in creating a silent meditation community in the magical meadows & woods of Easterbrook, Devon. This month-long retreat is a unique opportunity to deepen practice intimate with the beauty and teachings of the natural world. Living a life stripped down to its essentials we become sensitive again to the language of the birds. As our inner chatter falls away, our minds and hearts open to each other. Paramananda has been leading retreats for thirty years and has a distinctive style that stresses body and heart as keys to opening to the nature of reality. He is the author of several books on meditation. Maitridevi has spent 20 years living communities & working in team-based right livelihoods She has a love of meditating in nature, and of engaging the imagination through myth & ritual. Dharmamrta will be teaching Scaravelli yoga. The ethos of this way of working is to soften and open into a greater sense of relaxation and ease. Dayajoti, Maitridevi & Sukkhasiddhi; Friday 5 June — Friday 12 June 2015. More information and booking. How we regard ourselves and the world determines what we see. Looking with eyes of love we can live with a sense of connection, openness and clarity. The programme for this retreat will be full of exploration through meditation, ritual, movement, myth and storytelling as we seek to bring the insight of love into our gaze. There will be plenty of silence too. We will be holding this retreat in the magical woods of Broadhembury, where we will be living, practising, and working together as a community. (This site does need a level of fitness that can cope with uphill walks to the shrine area). Weekend 5 — 7 June, open to adults and children at Spoods Farm, Sussex. With Ketuhridaya, Tejomala and team. More information and booking. Join us in the beautiful fields and woodland of Sussex for a Buddhafield family weekend retreat. We will explore and celebrate the path of practising Buddhism and parenting. We will engage in Dharma practice, talks, and discussion as well as physical games for all ages, green craft with woodwork and other activities. This gathering offers a real opportunity for us to connect with the beauty of the land and each other practising together with our families. Week 8 — 14 June 2015, open to all adults at Spoods Farm, Sussex. With Indrabodhi, Sagaravajra, Panya and team. More information and booking. Direct experience leads us to encounter life in its fullness. When experience is filtered through personal ‘stories’ rooted in fear, anxiety and resistance we are no longer alive to the present moment. When our decisions come from an awakened awareness we begin to live a life that aligns with our ‘deep purpose. ’ Come and join us as we turn towards our experience through meditation and a symbolic journey to the centre of our personal mandala, supported by spiritual friends and the healing power of nature. Wednesday 16 – Sunday 20 July 2014: booking is still open. You can contact us about the GEA. 6.30—8am, Kundalini yoga, Workshop Space 1. 8.15—9am, Meditation, Meditation Space . 8—9.30am, Hatha Yoga, Workshop Space 1. 9—10am, Qi Gong, Workshop Space 2. 7—11am, breakfast in Buddhafield Café. 10—5pm, workshops (check info boards for what’s on). 12—3pm, lunch in Buddhafield Cafe. 5—9pm, dinner in Buddhafield Café. Evening: live music; dance; cinema in the Buddhafield Café. Communicating Across the Species Boundary with Jo Goldsmid. An exploration of self and other in the more-than-human world using body, speech and mind. Also known as earthwhispering or a little nature tête à tête. ScrapMonkey Recycled copper jewellery, scrap copper bangles and recycled notebooks out of reclaimed lino. 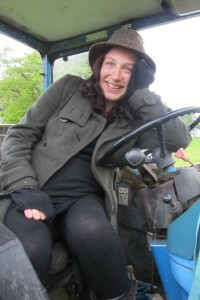 Permaculture, Nature Connection and Foraging with Klaudia Van Gool. Permaculture Workshops with Aranya; Patterns in Permaculture Design with Aranya. Nature abounds with beautiful patterns, but why do we see the same forms repeating over and over again? Discover how we can use these patterns to most effectively perform specific functions, such as conserving energy or distributing resources. This workshop will show you a new way to see the world. Permaculture Design: Step by Step; Permaculture offers so many great possibilities, but with so much choice where do you start? Determined to figure this out for himself, Aranya ended up writing a book to make sense of this. In this workshop he shares the key things he has learned along the way to help you create great designs for yourself. Real Wealth and Wiser Money; the current money system may be the reason why our beautiful Earth is being so dangerously exploited, but exchange is not only natural but essential to a strong community. Come along to discover how we can do this so much better & how you may have more to offer your community than you realise. Mindful Living — Meditation on the Move. Binley Farm and Wake Up Uk are sister communities practicing mindful living; a residential retreat centre and a community of young engaged mindfulness practitioners. Join us in exploring and experiencing how mindfulness can be practiced off the cushion and into society, relationships, and everyday tasks. See also Wake Up London. Barefoot Running with Matthew Adams. Exercises to get in touch with and listen more deeply to how our bodies want to move and run when we take shoes away; how our bodies are naturally designed to move and run. Embodied Feminine Way. What is your authentic feminine expression and your gifts to this world? Landing in your womb, finding your truth as woman. Performance-the Gift of You; working with presence and expression in spontaneous, personal sharing of your self. Exploring giving and receiving of attention, play, coming forward with your unique gifts. Agata Krajewska is a Bodymind Therapist and group facilitator, working with the Deep Feminine and Personal Expression. She brings new perspectives and an invitation to self-compassion. See Soul in the workplace. Hindustani Singing A beginners’ workshop in Hindustani (North Indian) classical singing. Barefoot Books celebrate art and story that opens the hearts and minds of children from all walks of life, inspiring them to read deeper, search further, and explore their own creative gifts. Amelia, Barefoot Books Ambassador from Devon, will be sharing some of these wonderful books. Contact Improvisation Alistair Edmunds has been dancing CI for over 6 years, with a diverse range of movement backgrounds, Martial arts, Climbing, Yoga, Tango, Qi gong. Interests in BMC (body mind centring). CI is an improvised dance form involving connection to a least one other person and improvisation around that point of contact, It is an open ended exploration into movement and space, where each individual is invited to find their own way and follow their own curiosity. See Bristol Contact Improvisation. This is our second GEA; what have you changed this year? I think last year worked quite well having spaces in the programme where people could be together outside of the workshops. But I’d like to see more of that: last year it was still quite tight; lunch was a narrow window in relation to time slots for the programme. I want more crafts, more independent spaces, more transferable skills; someone should be able learn something at the GEA, go home and do it. That feels like more of a life changing experience: they have that wow! moment, where they walk away and feel that they’ve accomplished something. People could feel that they’re going on a journey through the event, rather than “Oh! I’ve got a slot now; lets get to the blacksmith!” I’m aiming to pull it all together with a bit more of an emphasis on the theme. The Dharma talks are what will underpin it, really good speakers that embrace the theme. What do you see the difference between the Buddhafield Festival’s Permaculture Area, and the GEA? I’m actually trying to make a connection more obvious. At the Buddhafield Festival we have the Dharma Parlour over there and Permaculture over here. In my view they should be in the same space. So trying to to get that link in, that it’s not about doing your green crafts, then trying to get your meditation in. The two are so fundamentally linked, that the only way change can happen in the future is that people recognise that we are so fundamentally linked. We’ve talked about linking the theme to this year’s Triratna International Retreat: The Bodhisattva’s Reply; I suppose we’re training our Bodhisattvas aren’t we? Yes, yes I think so. Individual input into the world, so to speak, in relation to other individuals. It links in with the prophecy of the Shambhala Warrior: “The Shambhala workers go into the corridors of power armed with the only tools that the barbarians don’t understand, and for which there is no defence. The tools of the Shambhala workers are compassion for all, and knowledge of the connectedness of all things. Both are necessary.” The Bodhisattva vow came up quite a lot last year and just hit the spot for me: this is about all of us standing up and facing the world for each other, that it’s all our responsibility. One person can make a difference; believe in that. It’s not a question of feeling a horror of what’s going on in the world and needing to do something about it, of feeling responsible and therefore we “should”. It’s to do with the sense of deep ecology, that we’re so interconnected that there’s no way of standing outside from it, we are part of it. You’re breathing, so you have to do something. And that was the root of it for me, the notion of deep ecology , of it being so obviously Dharmic. Horrified anxiety isn’t the fuel for the future, then? No. A love and a compassion, and a will, and a “wow! I’m part of this!”. Protests, activism and the need for social change, can really emphasise the devastation … but the connection, that’s got to be the compassion of moving forward. So that’s why the Dharma Parlour and Permaculture Areas are moving forward together. In the Buddhafield Festival Permaculture Area, we’ve got Green Crafts and we’ve got Social Change, so in a sense the GEA is an extension of that, but a lot more in depth. The GEA is increasing the sense of intimacy? Yes, at the Buddhafield Festival people do become ships passing in the night; you’ve got your timetable, you jot your workshops down on the back of your hand, you’re running to the next thing. Whereas with a structured timetable, you’re eating together, you have a chance to network and I think that’s really important; like-minded people, people who feel the way you do, get into groups together and that brings a sense of community. You’re doing it together. You go to one workshop and feel really moved, go to the next one and it might be the same group of people. And I think in that sense you’re not alone. I think that can be quite powerful. So I’m hoping that that’s different from a Permaculture Area at the Festival. The Eco Dharma Centre is Buddhafield’s cousin project in the Spanish Pyrenees. This is a retreat with an emphasis on meditatively inhabiting the wild landscape which surrounds the EcoDharma Centre. It is part of our Nature Based Practice and Learning series. It brings meditation and mindfulness into relationship with wilderness immersion. Our deepest nature is untameable. Yet, spending so much time living in a world constructed in service of a humanity, this can be hard to remember. So step out of the narrow dusty world for a while and meet the wild. Immersing ourselves in direct contact with wild nature, and deepening that connection through meditation, mindfulness, and reflection, can heal the wounds of alienation that are so present in our times. This helps us to re-connect with deeper aspects of ourselves and the world we inhabit – in a way that is enriching, empowering and transformative. This course explores both the practical wisdom and the theoretical underpinnings of a shift to a life-sustaining future – set within a framework of nature and dharma based learning. It draws together the practical wisdom of permaculture design, experiential nature-based learning, and the theoretical foundations of deep & radical ecology. It weaves together study, meditation, and hands on learning. More information, booking details and suggested donations/dana can be found on the EcoDharma website.